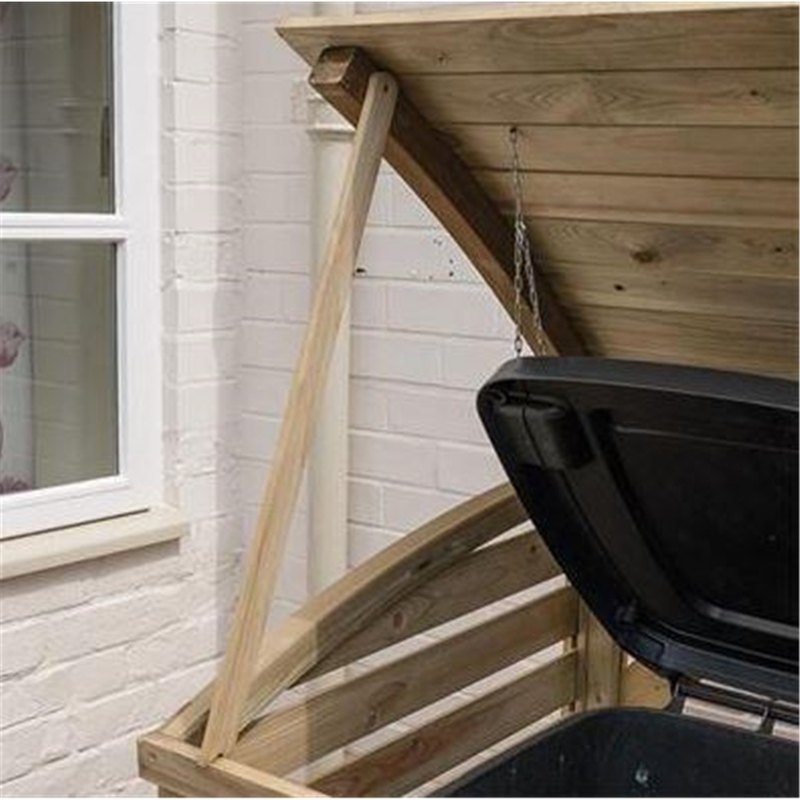 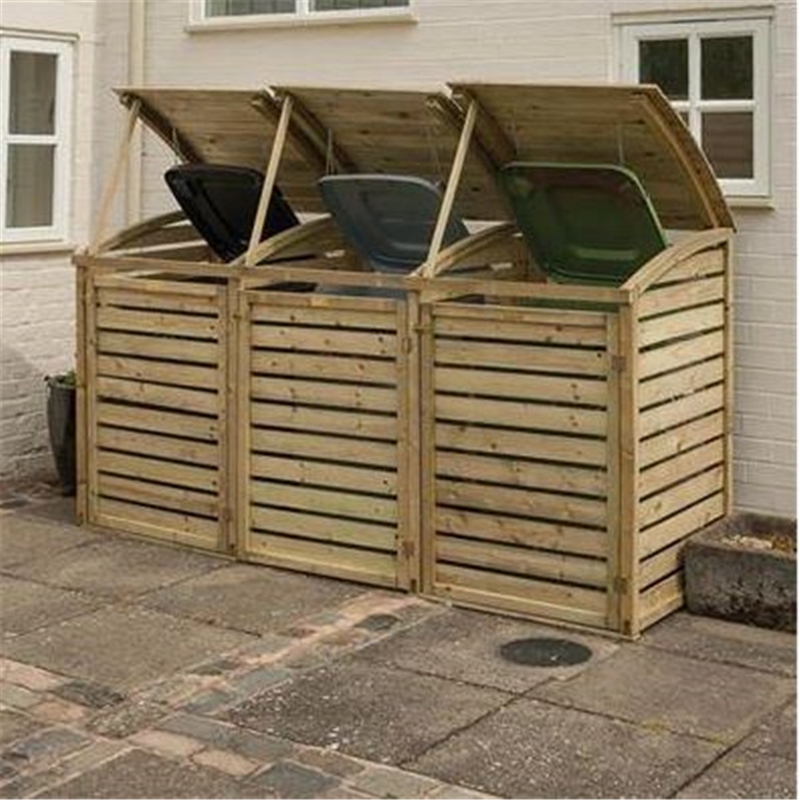 The Triple Bin Store is ideal for any garden, it protects your wheelie bins from the wind and rain as well as making the storage area look attractive. 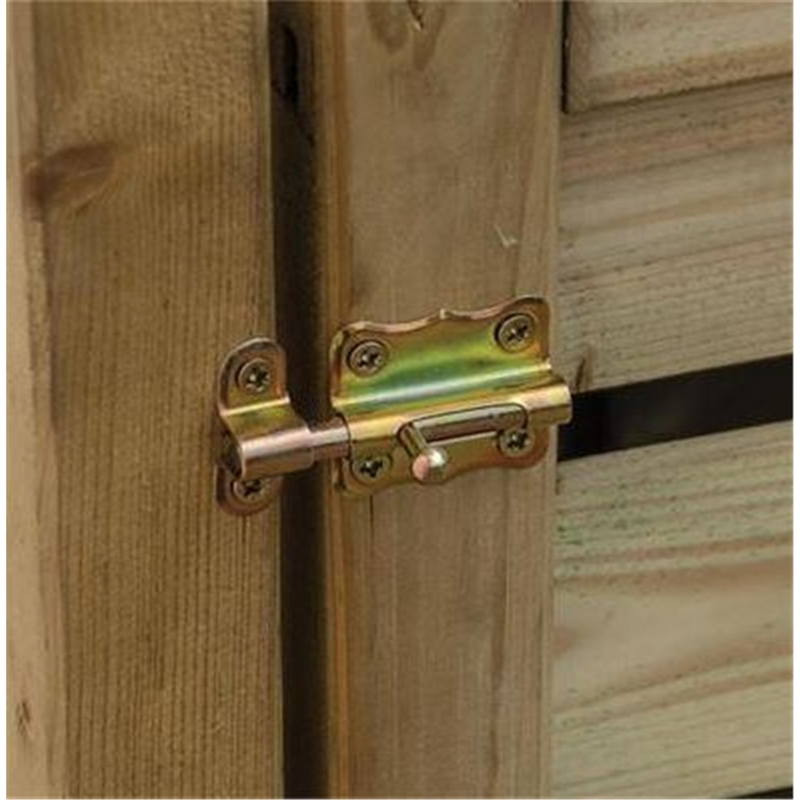 This product has lifting lids with chains attached, providing you with easy access into the bins. 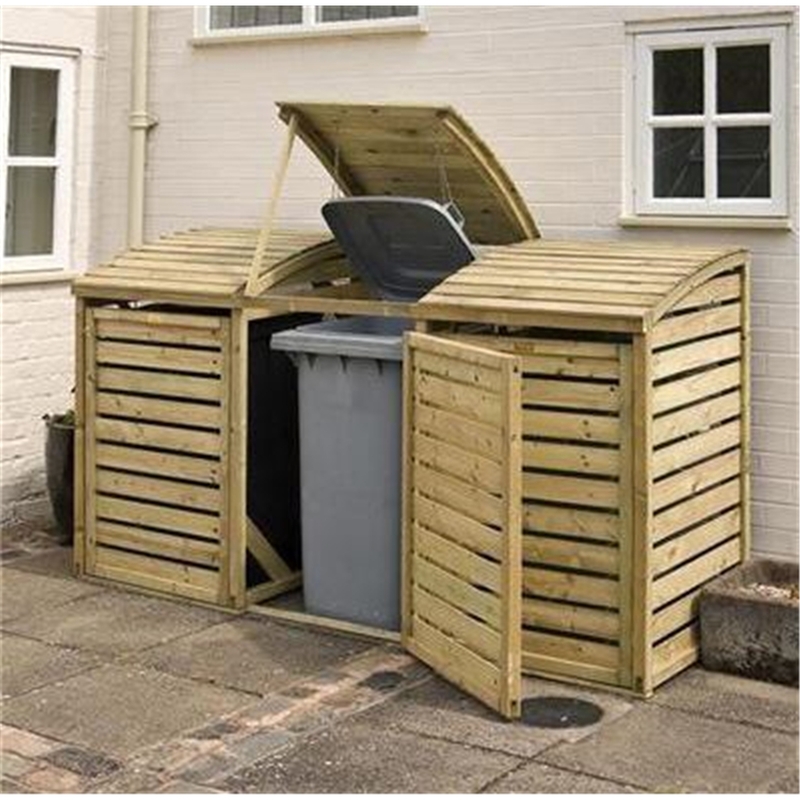 The Bin Store is pressure treated against rot and is finished in a natural timber.